Cost Effective - Jona Panel Sales Inc. - Jona Panel Sales Inc.
Jona Panel Sales Inc. is proud to offer innovative building materials that save you time and, in turn, money with efficient installation processes. Each product is uniquely manufactured to eliminate any extra steps or special tools needed making installation processes streamlined and easy. Read how each product below is cost effective and efficient for contractors and DIYs. GreenE-Board™ tile backer board, underlayment and drywall replacement. GreenE-Board™ is typically used as a tile backer board in kitchens and bathrooms. It is the choice for contractors, DIYs and architects who prefer not to use cement board. With cement board you typically need to use special tools, nails and is extremely heavy to carry around a home or job site. No need for special cutting tools/nails – simply score and snap the product to cut. can be used as tile backer board in showers, steam showers and so on. 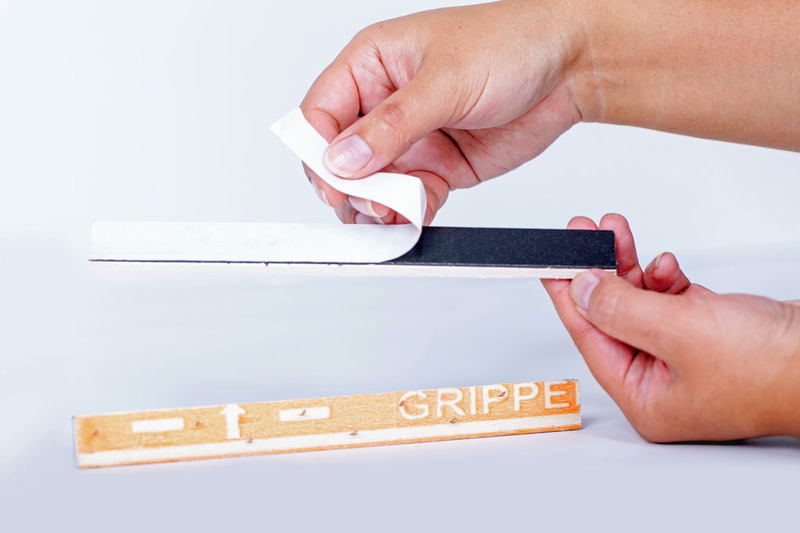 Gripper Edge Peel & Stick is tack strip with an adhesive strip that sticks to cement, tile, hardwood, vinyl, etc. There is then no need for nails or glue. You can install the tack strip immediately after cleaning the surface of the cement, tile or hardwood. It can easily be installed in awkward spaces like closets or stairs without damaging the walls or baseboards. No need for messy glue. You can install it over tile, hardwood, etc. rather than needed to renovate by removing the floor to the plywood or cement like you would with regular tack strip. Below is a scenario as written by a sales representative of Goodfellow Inc. Our customer found that Gripper Edge saves you money and a tremendous amount of time while installing carpet. A typical 400 sq ft installation of carpet over concrete will need approximately 80 linear feet of tack strip, or 20 – 4 foot pieces of tack strip. Gripper Edge peel and stick tack strip will retail for approximately $0.89 per piece. Traditional smooth edge for a glue down concrete application will retail for approximately $0.25 per piece. When using adhesive such as PL Premium (recommended for wood to concrete bonding applications) is factored into that cost, an 825 ml tube will provide 66 linear feet of adhesive when applying a ¼” x ¼” bead. An 825 ml tube of PL Premium retails for $12.21 per tube. This is an added cost of approximately $0.19 per linear foot, or a total of $15.20 to glue down the tack strip in the above 80 lineal feet example. This application will also take 16 – 24 hours for the adhesive to cure, meaning that the tack strip needs to be installed, and left for a day for the adhesive to cure, prior to stretching your carpet. With Gripper Edge peel and stick tack strip, your total material cost is 20 x $0.89 = $17.80 to complete the above installation in a matter of hours, as Gripper Edge peel and stick tack strip is immediately ready for carpet installation upon applying it to the subfloor. With traditional urethane adhesive (PL Premium) installation methods, the total material cost for the same installation is 20 x $0.25 = $5.00, plus adhesive costs of $15.20, for a total of $20.20. The project would also take a day and half to complete.